The instantly recognisable illustrations by Quentin Blake are as synonymous with Roald Dahl as giant peaches, chocolate factories and fantastic foxes. 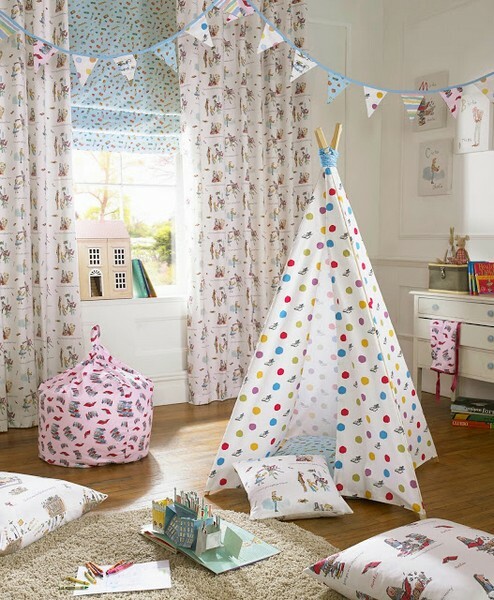 Now you can bring those stories to the nursery in a whole new way with a stunning collection of fabrics inspired by Roald Dahl’s most-loved tales. Featuring Quentin Blake’s imagery from all your favourites – Charlie and the Chocolate Factory, The BFG, Esio Trot, James and the Giant Peach, The Giraffe and the Pelly and Me, Matilda, The Enormous Crocodile, Fantastic Mr. Fox, George’s Marvellous Medicine, The Twits, Dirty Beasts and The Witches – the Fantabulous Fabrics Collection by Ashley Wilde brings Dahl magic to bedrooms and playrooms. 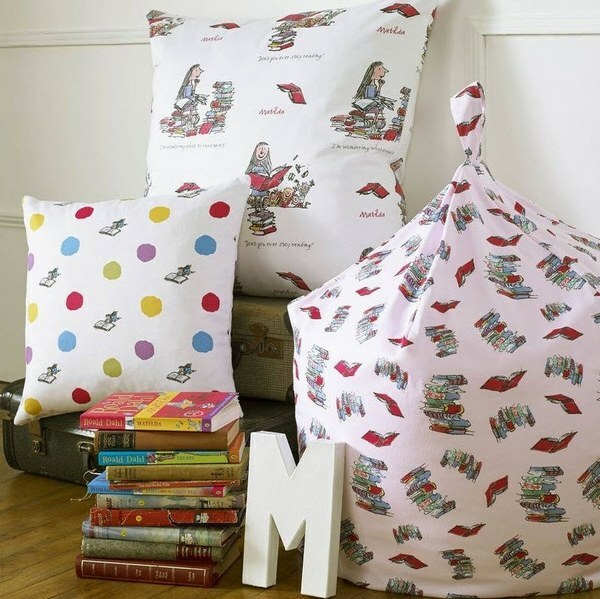 As well as Blake’s illustrations, the collection includes co-ordinating fabrics in patterns and repeating prints that can be mixed and matched – spots and stripes, as well as peaches, stacks of books and flying feathers. 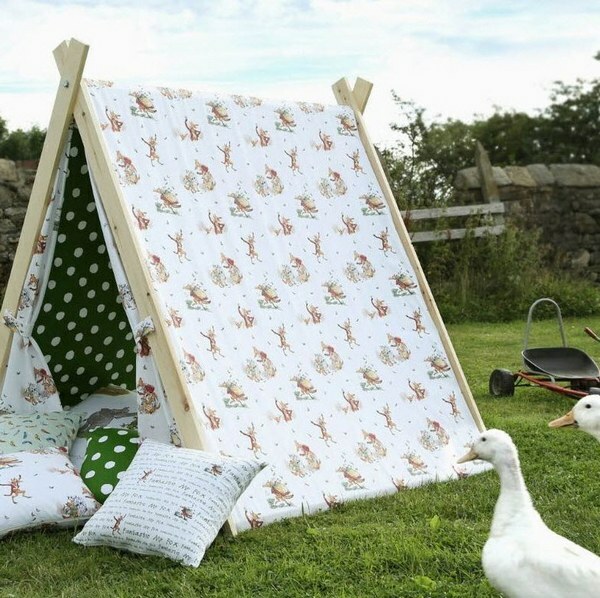 The colour palette for each design complements the others so that you can freely mix your Twits with your Matildas. I can’t resist the Charlie and the Chocolate Factory prints – one of various characters and their golden tickets, one of Lickswishy Sweets and one of the factory – delicious! 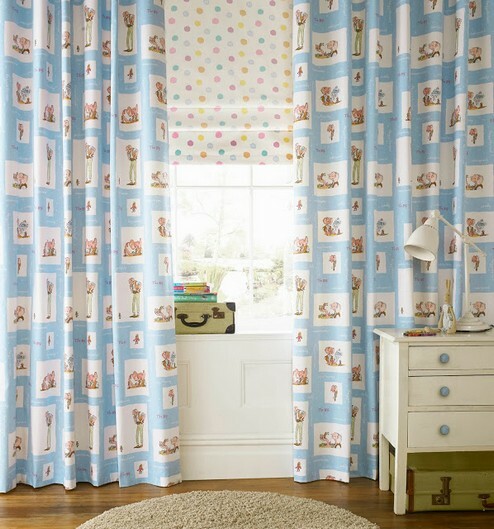 Roald Dahl fabrics are available in Australia through Wortley Group. Prices range from $51-$80 per metre.